Except for Fagrihver the Central Group comprises the most widely known features of Hveravellir. Across the trail from Fagrihver a second impressive sinter cone catches the eye, Gamli Fagrihver (old Fagrihver). 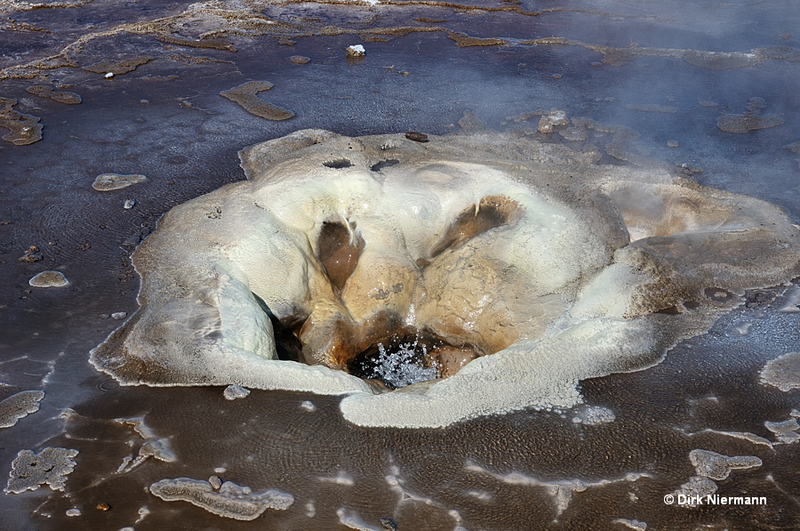 Even if it seems to be a dry, inactive structure, there is hot water inside with temperatures around 95 °C (203 °F). 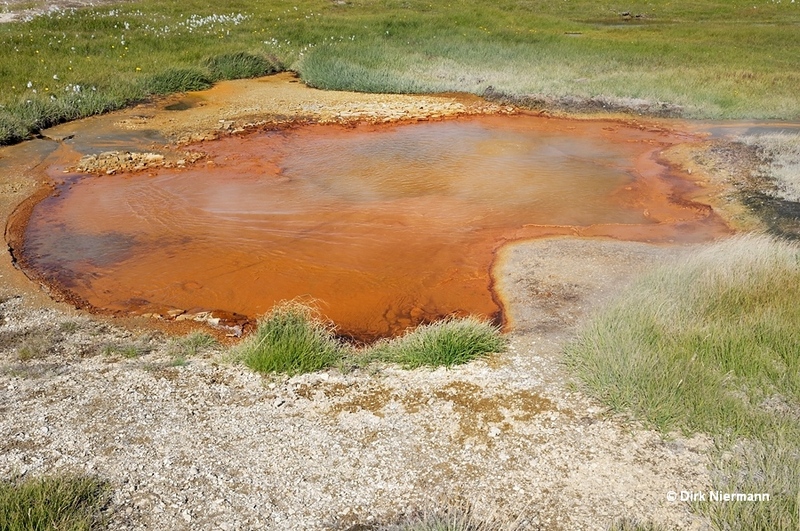 Tomas F. W. Barth (Volcanic geology, hot springs, and geysers of Iceland, Carnegie Inst. Washington Pub 587, 1950) listed Gamli Fagrihver as an active geyser, playing approximately 30 cm (12 in) high. 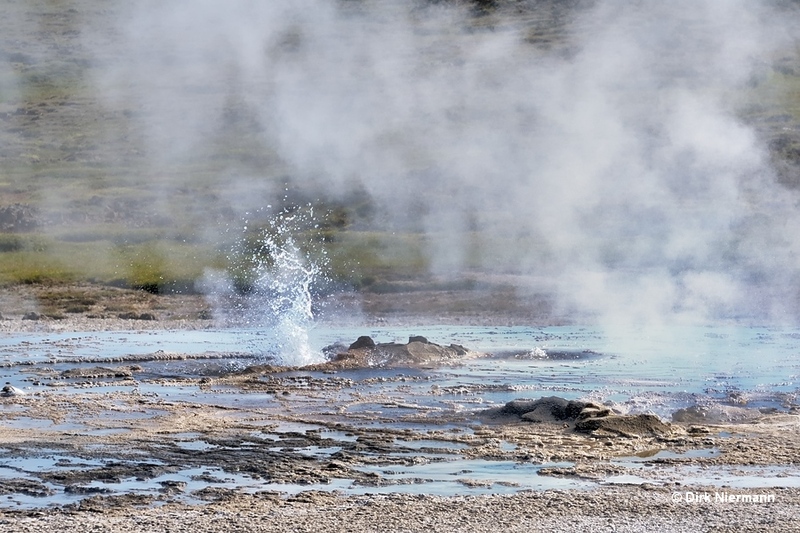 Geyser activity was observed at least from the late 19th century until well into the 1930s at intervals between 30 and 90 minutes. 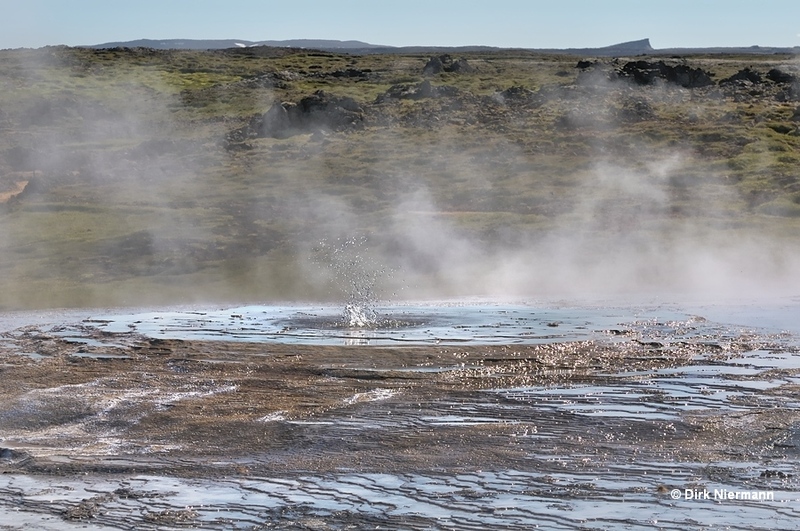 Subsequently to Gamli Fagrihver south of the boardwalk two springs come in the field of vision, which have been named Bræðrahverir (brother hot springs) by Thore Thoroddsen in 1888. He described them as very similar periodically spouting springs, hence the name. 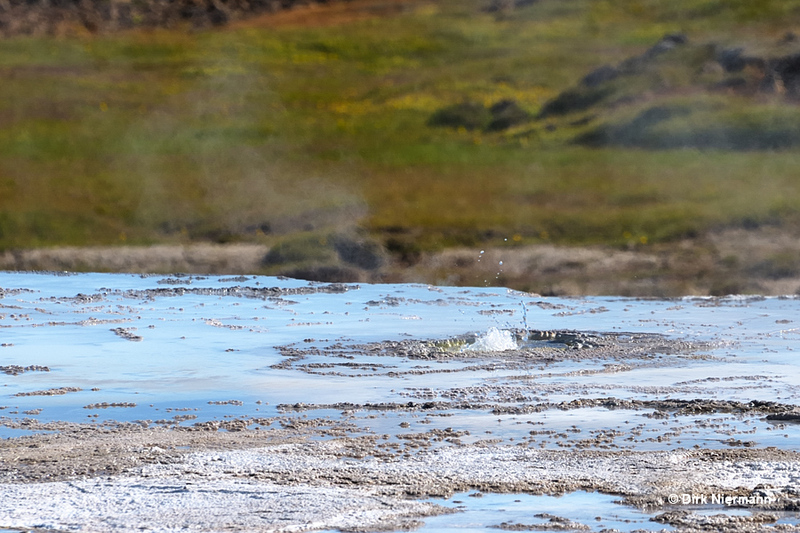 Back then they were the most important geysers in the area with eruptions up to 3 m (10 feet) high. 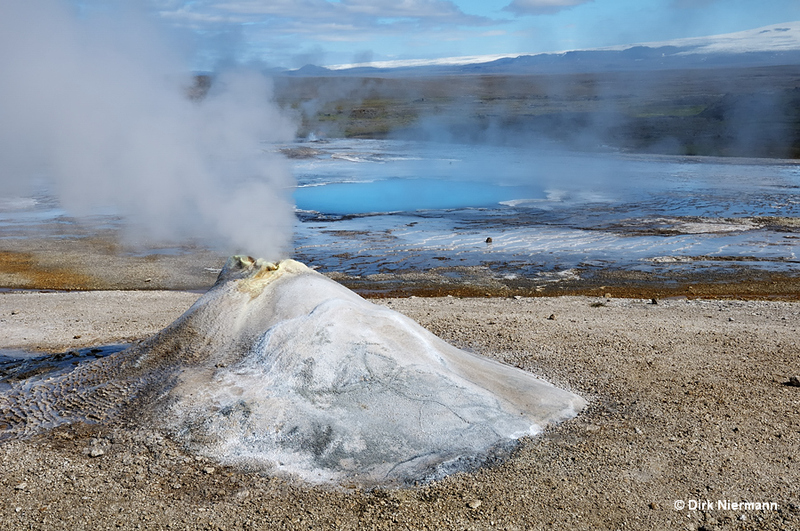 The more striking one is Bræðrahver (brother hot spring) because in contrast to Bræðraauga it is still an erupting spring to date, has built up an impressive flat-top sinter cone and is closer to the trail. However, Bræðrahver splashes in recent times only weakly, up to 1 m (3 feet) high and is believed to be on the verge of sealing itself in. 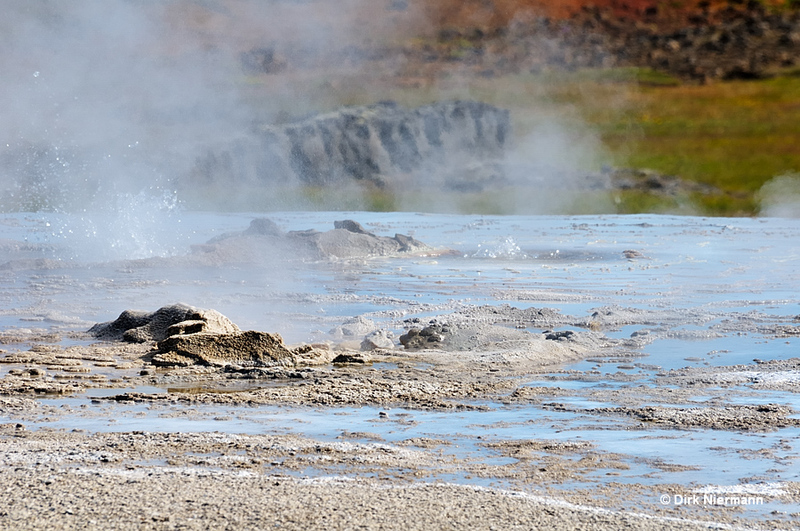 Nevertheless, even these minor eruptions still qualify it as a geyser. Bræðraauga (brothers eye) is the east one of the two Bræðrahverir and also the one more remote from the trail. 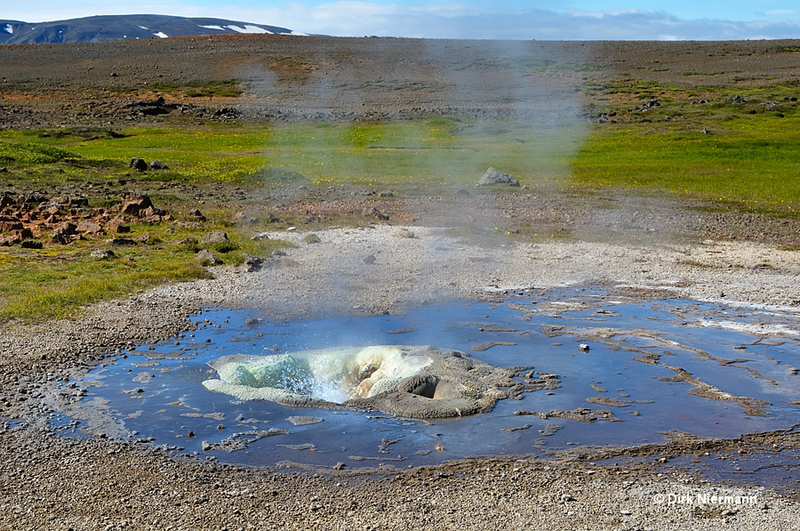 Compared to Bræðrahver it is not erupting and quite inconspicuous, especially because from the trail the water level can not be spotted behind the unevenly raised rim. Distance to Bræðrahver is about 6 m (20 feet). The former subterranean connection between the two springs seems to have gone. 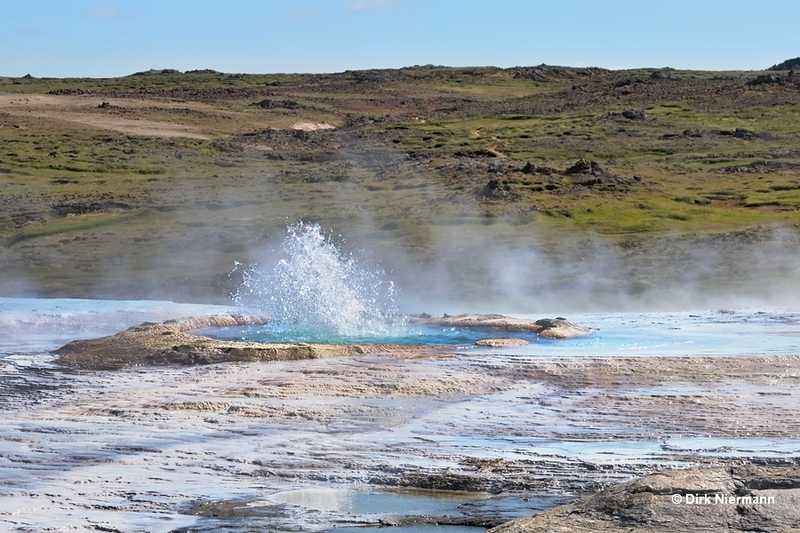 Two other noticeable hot springs are located close to Bræðraauga, both are small geysers with almost perpetual activity. Because springs in this area are usually generating a lot of steam, they are often quite hard to observe from the trail. The easternmost spring H209g consists of one medium sized pool on the east side and a second, smaller vent at its west shoulder. The eastern pool plays up to 1 m (3 feet) high. The shallow funnel of H209g on the west side ejects crystal clear splashes of only some decimeter (one foot) height. At a somewhat larger distance to the west the geyser H209n follows, as small and as weak as the one before. 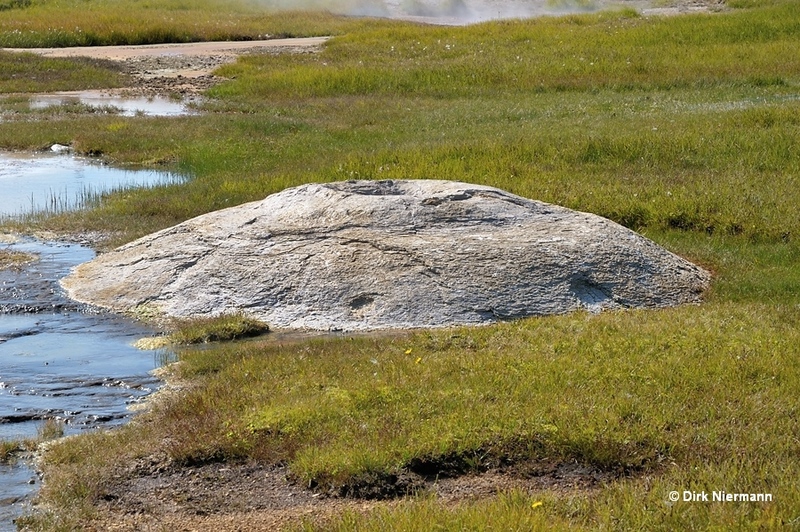 Grænihver (green hot spring), the currently largest geyser on location, lies 7 m (23 feet) west of Bræðrahver. During its rare phases of major eruptions water bursts every few minutes up to 3 m (10 feet) high out of its large, turquois colored pool with a diameter of 4,5 m (15 feet). Unfortunately, most of the time Grænihver only shows some weaker splashing. Statistically secured information about intervals and relation between major and minor eruptions seems not yet available. 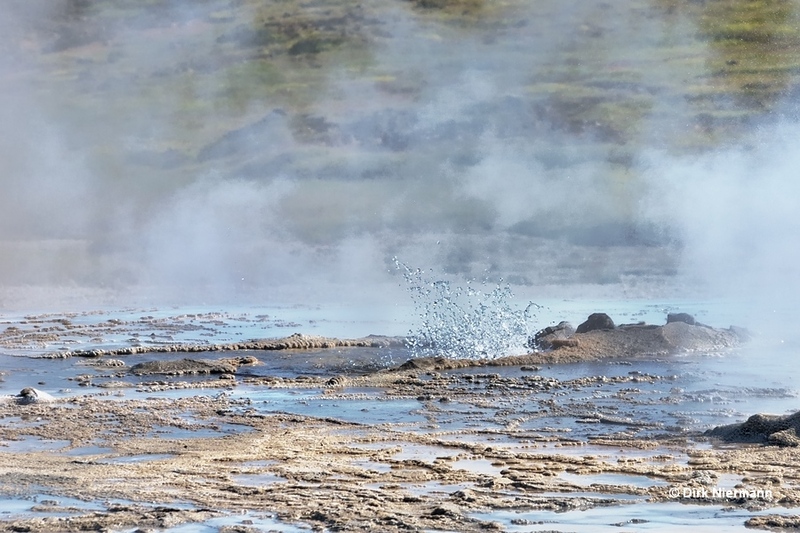 Publications from prior to 1950, the "classical period" of geyser research on Iceland, didn't list Grænihver as a geyser but as a boiling hot spring. So true geyser activity obviously has emerged quite recently, probably only towards the end of the 20th century. The rounded rim of its pool exhibits a depression on the west side where hot water streams out and flows very smoothly over the glassy sinter surface. After passing Grænihver the boardwalk curves to the south around a marshy depression, which comprises Rauðihver (red hot spring). This intermittent spring is different from all other in Hveravellir. 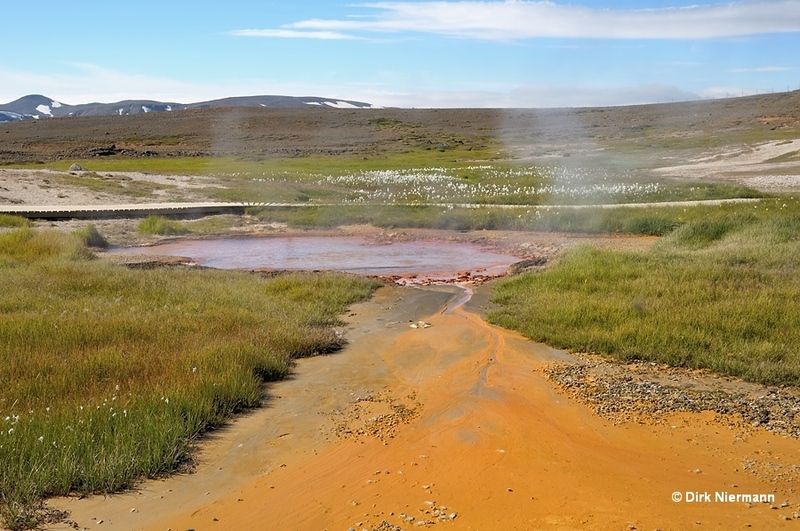 Being one of the few muddy hot springs on location, it captivitates the visitor with intensely orange colors of the water and the runoff plain. 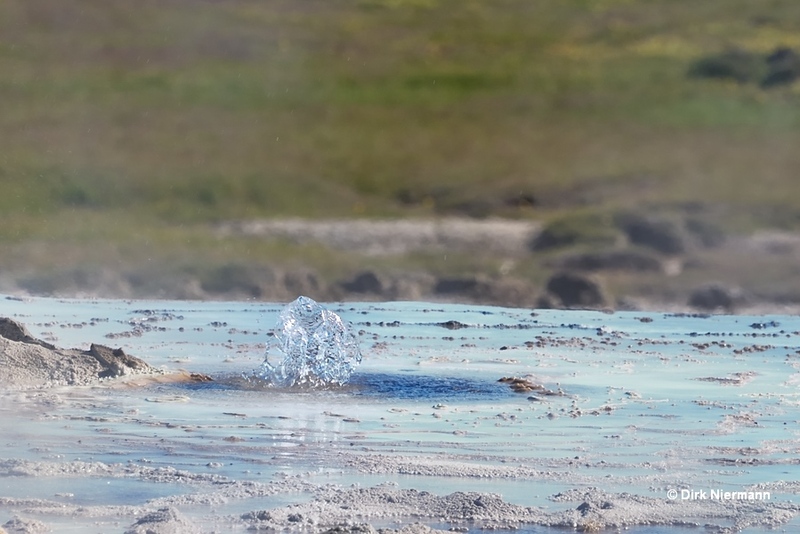 In 2008 and 2009 Rauðihver underwent very active phases with frequent bursts of muddy gray water up to 1,5 m (5 feet) height, showing true geyser activity. Completing half a circle the boardwalk is branching off at right angles to form a viewing platform for Öskurhóll and Bláhver. 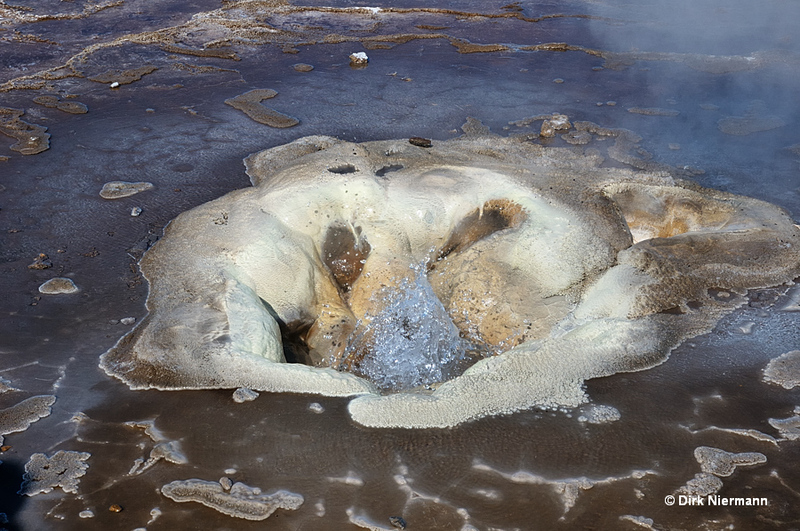 Öskurhóll (roaring hill) must have been a very noisy fumarole in the past, described as frightening people and animals and put them to flight. In contrast, its activity is comparably moderate today. It is hard to believe that Öskurhóll's large sinter mound could have been built up by fumarolic activity alone. But if you look very closely you may notice that the vent continuously emits a fine spray of water droplets. They are rich in dissolved minerals. The water evaporates faster than the minerals could be washed down the slope and so the growth of the large mound becomes understandable. 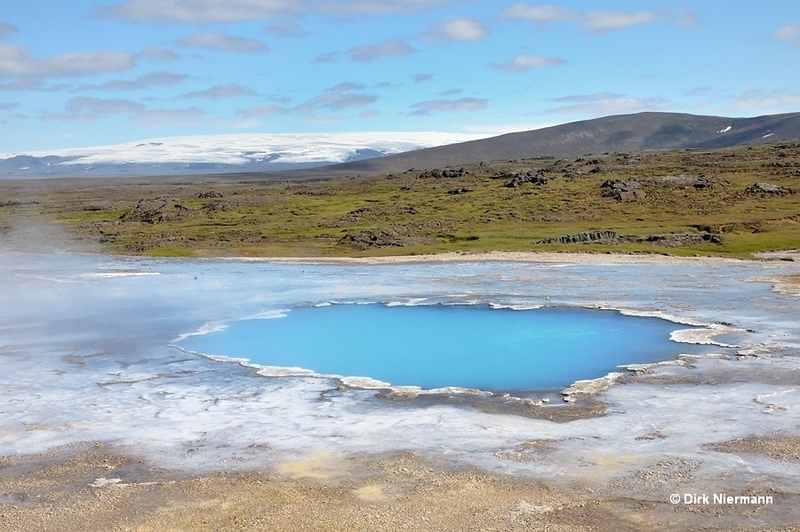 Forming a strong contrast to Öskurhóll its neighbor Bláhver (blue hot spring) seems to be the embodiment of a lovely spring. Showing almost no activity and displaying opalascent sky blue colors its deadly hazards are perfectly hidden. Proceeding west the last spring of the central group is the perpetual spouter Eyvindarhver. It is reported that the outlaw Fjalla-Eyvindur (Eyvindur of the mountains) used Eyvindarhver from 1760 to 1780 to prepare his meals, hence the name. For that reason he placed boulders around the spring, which became coated with sinter over time. This would explain the extraordinary structure of the cone. Some visitors are also amused about the "evil face" with a spouting mouth Eyvindarhver reveals under a certain view angle (see pictures). According to T. Barth Eyvindarhver had played as a true geyser approximately 50 cm (2 feet) high in the past, but was a perpetual spouter already in the 1930s.